The Lomographic Society (www.lomography.com) , as the world's premier analog photography company, loved the Lubitel for years. Feeling a massive following amongst our customers, we decided to put again into production this legendary 60-year historic camera - The Lubitel. After a serious study of our real amateur and artistic needs, The Lomographic Society, decided to market a new version of this old World renown Lubitel camera. People needed them, people requested them. This extraordiinary phenomenon of the post war days spread World over. Now amateurs, artists and professionals alike, longing from a reliable and simple camera meeting their requirements, are happy. The Lubitel turned into reallity. The history begins long long ago. Back in the 1930 years, there was needed a well built camera for top results and low investment. 1929 saw the begining of the formula succcess. -The original Rolleiflex. The demand was high, but also the prices, keeping restricted sales. Soon other manufacturerrs began to trail the same way, the Ikoflex for instance, but the Vougtlander Brilliant and the Tharant Reflekta went another way, going to similar projects with low cost cameras. After the WWII There came a multitude of types like the Flexo and the New Brilliant, but Japanese were coming into the market and soon the Ricohflex outsold them all. The Lubitel, first in modest sales proved to be the excellence of price considering the top results of their optics. Soon it reached the top of world sales. Almost all photographers knew the Lubitel and its capabilities. The 6X6 suffered a demise, the production was halted. After a period of no production but feeling the the strong repressed demmand, the Lubitel is again offered to the public. Now, the Lubitel 166+, is not the same previous Lubitel once made in the former Soviet Union, but a far better one. Russia is now opened to the World. We are in the Globalization days. 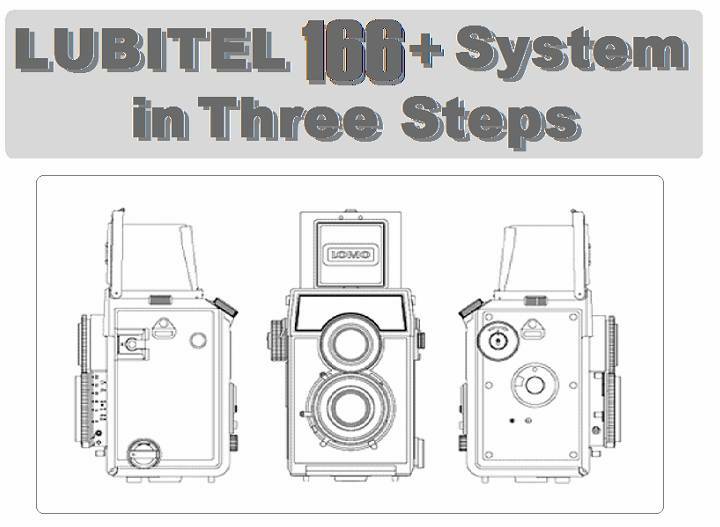 The new Lubitel is a result of an international cooperation with a team of various top World technicians, perfecting what was seen as the best formula of a minimalistic camera. The great success of the medium format are based on several premices that were not superceeded today by none of the existing photographic media. · The first and most important of them all is the technological fact that in the medium format are the encountries of all the benesses of the Physics, and Chemestry and also the exact size for the one’s average eye. 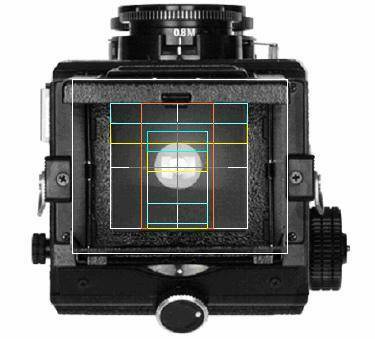 That means that lens resolution versus film grain stays in the top of all other used systems, including the large format. · The size in optimum for seeing directly the photos or slides. Details can be immediatly recognized. Is not small enough to loose details nor large to show unwanted defects. · It is relatively easy to retouch directly using proper pencils. You enter on the art if you want. · Large enough to be economical. Comparing to 35mm you have 4.1x more area in each picture, but 1/3 of pictures in quantities although at the same cost for equivalent emulsions. · 60mm films are for professionals, so they are better kept in specialized shops, and are handled by professionals, you will obtain better results. · If you shot on infrared films requiring a black filter on the lens, you have a free view finder to see and focus. · The small quantities of photos in each film is a better advantage once you go to take “this” picture. · The large right angle finder allows comfortable picture taking , from a low or from a high point of view over the head of people. · Is the largest possible format for a lightest possible camera. · Is the ideal view for a portrait where the picture taking position imposes a natural solemnity to the photo. · The simple shutter does not require batteries, and is always ready for use. · Synchronizes flash at all speeds making the ideal camera for “fill in “ flash technics. · Also the best camera for long night exposures, as or instance, to show star trails around the celestial poles in very dark rural sites. No waste of batteries, and the finder is always readly visible in any condittion. · You want very shallow depth of field for portraits or objects. · If you scan the negatives you will go far away. Pictures will outlook from any digital camera existing today and in the future. · The 6x6 TLR is a tool of art! But there are some drawbacks that must be wisely contorned. The TLR is a compromise. · weddings the TLR used to be a great wedding camera as it gives great quality enlargements and has a quiet shutter although slightly slow for using . · landscapes the lack of ability to visualise polariser and gradient filters along with higher lens flare make the TLR not as suitable as other types. · macrophotography parallax error makes things difficult. · light wheight this TLR has its main body made of plastics while mechanical parts are made of metal. This formula reduces the wheight of the final product witthout compromise in its final quality. · small size its shape is so built that eliminates all superflous keeping the size down. Another corolary is the fact that ithe negative size of Lubitel 166+ although nominally 6x6 cm, really is slightly greater than most of its competitors. 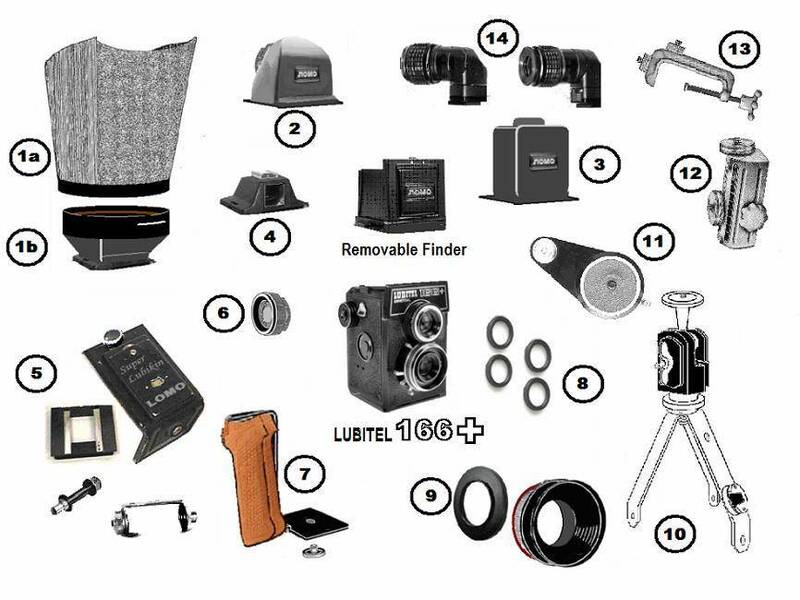 · always ready all the operational gears of Lubitel 166+ are made of metal, and its energy is based on springs. No matter how much time it stayed unoperative, once you pick it up, the Lubitel 166+ will operate immediatly. No batteries to spoil contacts or circuits! No possibilities of corrosion. The camera is always ready! 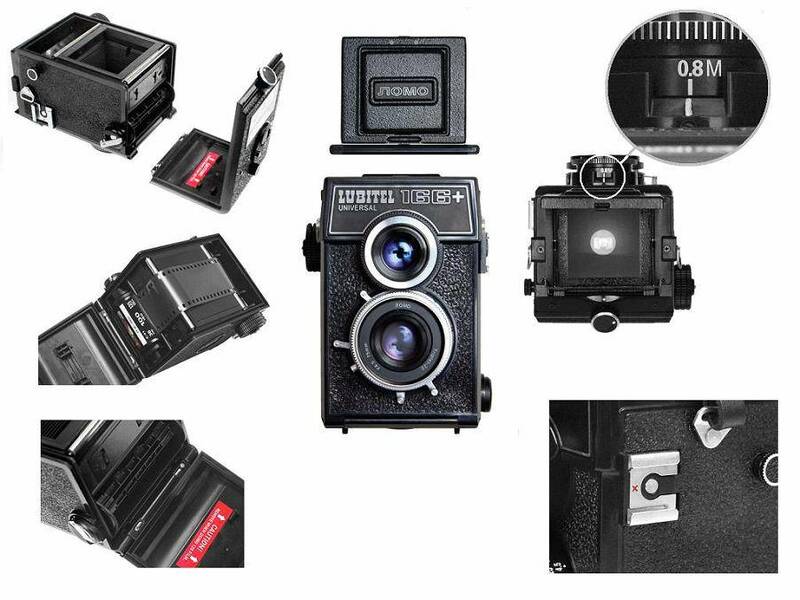 · close focusing ability the new Lubitel 166+ comes closer, closer than all the TLR competitors! Even closer than a Hasselblad! This opens new horizons to the common photographer in the medium format. · smaller parallax the distance between the centers of the taking and viewing lens of the new Lubitel 166 + is smaller than its classic competitors, this favours close distance picture taking. · large viewfinder easier viewing and framing, as well as comfortable observing of the image from a distance. This property allied to the natural greater depht of field of the taking lens, with the focusing easiness, brings to you shapness in every picture you take. Making a good picture turn on a Masterpiece! § Acording to the used format, a third Limiter Mask (six choices)could be inserted. o The first one is the Stereo Viewfinder, that can be operated with or without its special hood. This finder enables the photographer to admire the picture to be taken, with both eyes and focusing in stereo vision, bringing a full vision of the subject and the truth about the picture taken. No other camera can offer so much! – operates wit the Fine-Fresnel screen. o The second one is the Pentaprismatic, that puts your eye through the lens giving a SLR quality image. Differently from pentaprism of medium format cameras, this one is very light, once it uses pentaprism from 35mm cameras in a special arrangement for full frame coverage. o Finally, the Albada Sport Finder puts the new Lubitel 166 + as a press camera, operating on zone distances. The extra shoe enables one to use an auxiliary finder when a converter is used over the main lens. · quiet shutter is almost unheard from a distance its five automatic speeds cover all neeeds of the practical photographer. The “B” adapts the camera to very low light situations. There is a “X” syncho that operates in all speeds mastering the Fill-in flash techniques. · multiple exposures total absence of coupling of film advance with shutter operation easies you to free your imagination. Turn directly into reality the image of your dreams! · film rewind a unique feature! The film can be wound in any direction in the new Lubitel 166 +. No other camera has it! You can remove the roll in the middle of shooting section, and put again for a new section. · multiple formats 6x6, 4.5x6, 24x58, 24x36, or continous shooting in both 120 or 135 films. Another unique of the new Lubitel 166 + . · adaptability to several uses the simplicity of the camera turns it into a limitless usage. Your mind is the rule! · quality lens with atach the lens is the basis of a good picture and a good lens stands still goo pictures with any attachments. 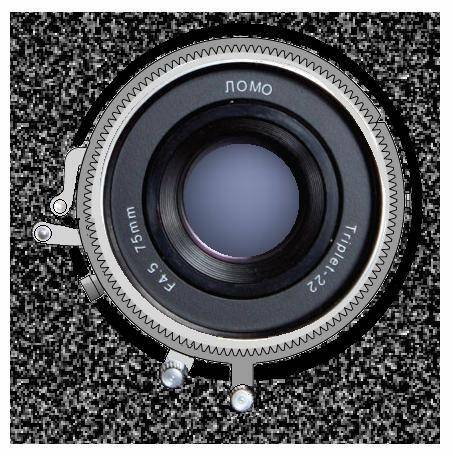 The taking lens has a threaded mount of 40.5mm, making possible several attachments from FED, Zorki , Kiev, Contax and Minolta cameras. Its interternal has a slip-on of 27mm diametre which is the same of the viewing lens. It is offered a special sunshade that adapts 49mm accessories and S-VII standard optical attachments, such as Fish eye, wide angle, telephoto, macro, etc. · finally the camera like the new Lubitel 166+ must be regarded as an intrument like a violin, a flute, etc, you never has seen auto violins or auto flutes. The operator must know his instrument in order to extract Art from them! 1. The first one is the Stereo Viewfinder, that can be operated with or without its special hood. This finder enables the photographer to admire the picture to be taken, with both eyes and focusing in stereo vision, bringing a full vision of the subject and the truth about the picture taken. No other camera can offer so much! – operates wit the Fine-Fresnel screen. 2. The second one is the Pentaprismatic, that puts your eye through the lens giving a SLR quality image. Differently from pentaprism of medium format cameras, this one is very light, once it uses pentaprism from 35mm cameras in a special arrangement for full frame coverage. 4. Finally, the Albada Sport Finder puts the new Lubitel 166 + as a press camera, operating on zone distances. The extra shoe enables one to use an auxiliary finder when a converter is used over the main lens.